Islamist oriented Judge Tarek El-Bishri, who headed the committee that drafted the March 2011 Constitutional Declaration, came out against President Mohamed Morsi's recent constitutional decisions, stressing that "Morsi holds no authority to issue constitutional decrees." In an interview with the independent daily Al-Shorouk on Monday, the prominent judge described Morsi's Constitutional Declaration as "an acceptance of the SCAF's amendments to the March declaration," which the judge described as "illegitimate." "The SCAF's declaration was invalid, and for Morsi to issue a constitutional declaration, especially for its termination, means he acknowledges it, a legally false action," said El-Bishri. El-Bishri added that Morsi could have acted against the declaration "as if it doesn't exist," and exercised legislative powers, with his actions scrutinised later by a newly elected parliament. "I would accept the president's constitutional declaration if he admits to having carried out a political coup and rules according to its legitimacy, and not the legitimacy that made him president," El-Bishri told Al-Shorouk. The judge also criticised the second and third articles of Morsi's 12 August Constitutional Declaration, stating that they conflict with the Constitutional Declaration issued in March 2011. "The second article gave the president supra-constitutional authorities and his third article gives him control over the constituent assembly, which conflicts with the articles that people voted for on [the] 19 March [referendum]," said El-Bishri. The third article gave the president the legitimacy to form a new Constituent Assembly to draft Egypt's constitution if the current one fails to do so, adding that the new draft constitution will be put before a nationwide referendum within 30 days after it is written, to be followed by parliamentary elections in two months, if it is approved. Morsi's recent changes have been questioned by other legal experts, who query the constitutionality of his actions. Where was your outcry during SCAF? I find it interesting that people, like Judges, are coming out of the woodwork to condemn Morsi for doing the same thing SCAF has done to the Constitution. Judges should not be making public statements like this, since it tarnishes the public's perception that they can be unbiased. Clearly Egypt needs to reform their Judiciary to include impeachment, like we have here in the states. In independent judiciary is one thing, but a runamuck and political Judiciary making activist statements without reprocussion is another. There are some people in Egypt whose job is to brand every action of this democratically government as "unconstitutional". I wonder where were these people during Mubarak regime? Why we didn't hear your voice then? You seems like everything of an autocracy and dislike everything of a democracy! 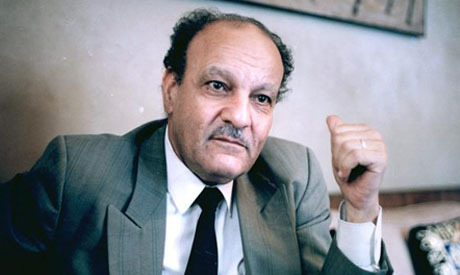 Bishri explains false of constitution to spoil egypt's peace. the name of the game is to undercut the Islamists. Bishri should be courageous enough to challenge the "constitutionality" of dissolving the democratically elected Parliament, which was dissolved by a court controlled by Mubarak's men in order to undercut the Islamists. We all know that the parliament would never have been dissolved had the secularists won the elections.